Sulabh International Museum of Toilets is situated in Sulabh Bhavan, Mahavir Enclave on Palam Dabri Marg in New Delhi. It has a collection of facts, pictures and objects detailing the evolution of toilets from 2,500 BC onwards. The museum shows the evolution of technology, social customs, and etiquette related to toilets, and the sanitary circumstances and law-making efforts. The museum also exhibits privies, chamber pots, toilet furniture, bidets and water closets being used from 1145 AD till today. Interesting displays include a replica of the throne of French King Louis XIV with a concealed commode. There are also interesting tales from the past. Like the one about how the word crap owes its origin to Thomas Crapper. He is considered the father of plumbing and held 9 patents related to plumbing and drainage. The museum is open from Monday to Saturday, from 10 am to 5 pm. 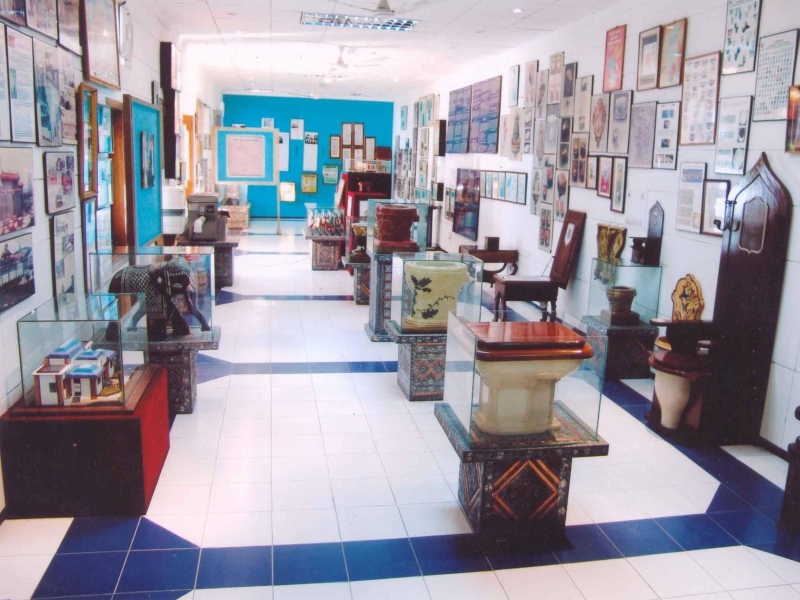 Been to Sulabh International Museum of Toilets ? Share your experiences!